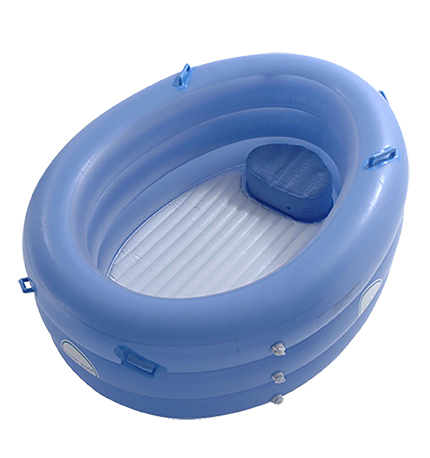 The most popular inflatable birth pool on the market. Well thought out and reliable. The Birth Pool In A Box is our luxurious model of Birth Pools and boasts many great features. 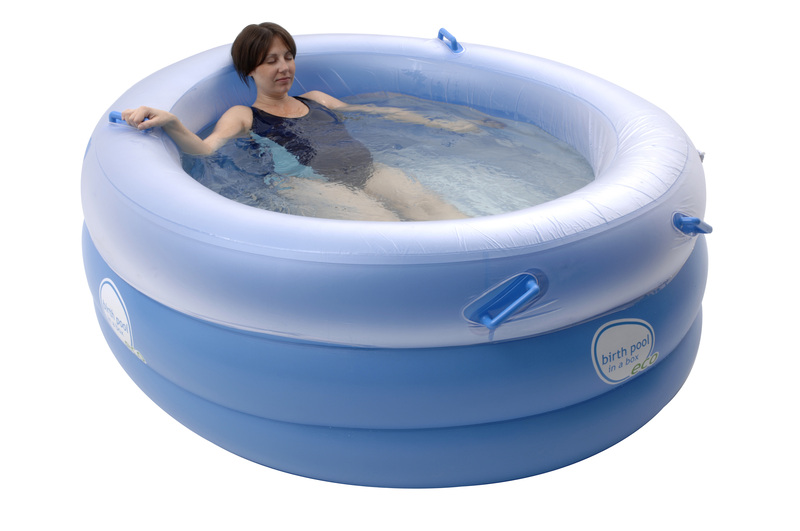 It’s ideal for home births, midwives, hospitals and birth centres. It comes with one disposable liner for ease of cleaning. 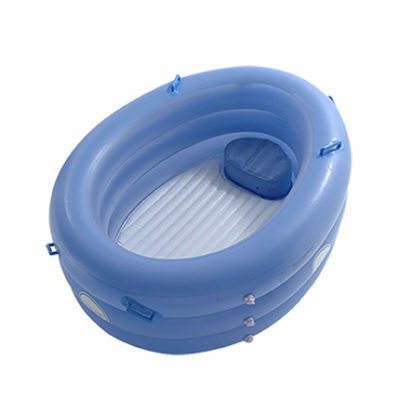 It is egg shaped and larger so you can fit family members in as well, with room to spare. 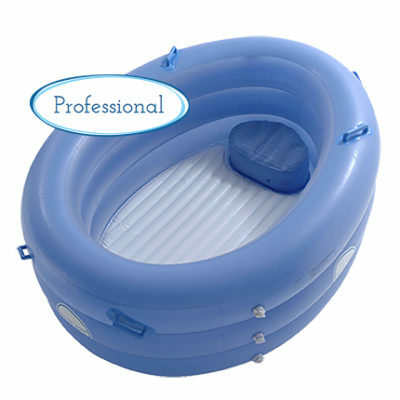 This pool has its own interior seat, which is ideal for labouring then sitting and feeding your newborn once they’ve arrived. There are extra handles for different positions and directions. 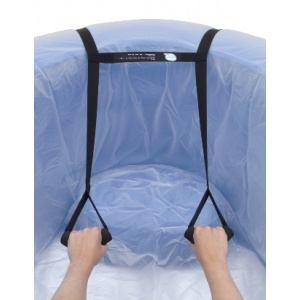 The walls are adjustable as there are three chambers, so you can deflate one if required. The colours are carefully thought about too. The opaque outer wall increases privacy, while the inner clear walls offer the sense of space. The white floor helps with visibility and the plain blue top has no distracting motifs or rough edges.